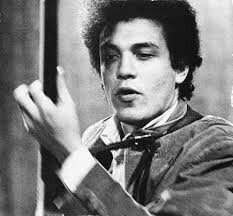 Many long-in-the-tooth local listeners will know blues rock guitar god Michael Bloomfield mainly through his work with erstwhile Woodstock residents Bob Dylan (see Highway 61 Revisited) and Paul Butterfield. But any ears out there who aren’t hip to Bloomfield—especially younger ones—should wake up right now and check out the fiery, stinging style of this justifiable legend. And a fine way to get acquainted (or reacquainted) with Bloomfield’s dazzling art is by immersing yourself in the four-disc box set From His Head to His Heart to His Hands (SONY/Legacy Recordings), which comes out February 4. Over three CDs and one DVD the set surveys the late genius’s work in both solo acoustic and full electric band settings, from a revelatory tape of his audition for legendary Columbia Records staff producer John Hammond Sr. to his performances with Dylan, the Paul Butterfield Blues Band, the Electric Flag, Al Kooper (1968’s essential Super Session), Muddy Waters, Janis Joplin, and others. The DVD features Bob Sarles’s Sweet Blues, an engrossing documentary featuring vintage audio interviews with the guitarist, live footage, and reflections from his friends and fellow musicians. For more information, visit http://www.legacyrecordings.com/a/#/home/.